This cross stitch stamped sampler craft kit lends itself to the Classical Biblical scene. 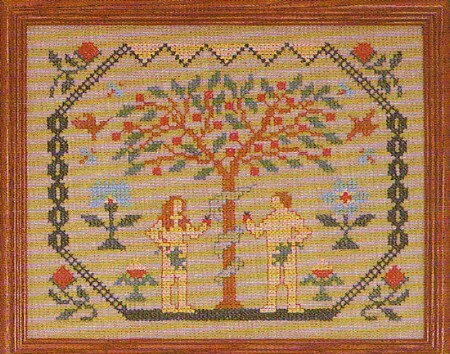 Here Adam & Eve are shameful after their bitter sin. Stitch this printed cross stitch sampler craft kit as a reminder of its Historical importance to our lives. Completely happy with product and service!